On Saturday, April 14, 2018, the Mt. Pleasant Figure Skating Club will be hosting the 14th annual Mountain Town Classic Competition. The event, a part of the Michigan Basic Skills Series, will play host to competitors from all over the state. Skaters from Snowplow Sam to Preliminary level compete in various events, including Elements (Compulsory) and Programs to music (Free Skate). This is a great opportunity for skaters to try competing in an environment that is familiar and comfortable for them and as a bonus every competitor receives a medal corresponding to their final placement in a special ceremony after their event has concluded. All Learn to Skate USA Skaters are eligible to compete at this event! At the competition, the Basic Skills Element Events for Snowplow Sam – Basic 6 are similar to one of our test sessions so, the format is very familiar for the skaters. Each skater in the group or flight will be asked to perform the elements learned at that level one at a time. While the skater is performing the elements there will be judges assessing their skills and assigning them scores based on how well the skills were completed. The scores will then be calculated and final placements awarded. Once the results are posted an awards ceremony will take place and medals will be awarded. This is a great time for pictures! The cost of the competition for MPFSC skaters competing at the Snowplow Sam – Pre Free Skate level is $40 for the first event and $20 for any additional events. Most of the skaters who are participating in our Learn to Skate Program would sign up for just the Element event. Those who are in the Bridge program as well and working with a private coach, could choose to do both the Element Event and a Program with Music if they wished. EZ-Registration forms are available at the Learn to Skate Cart. The deadline for skaters in our Learn to Skate & Bridge Program to register is Thursday, April 5, 2018, but if you wish to compete we encourage you to complete the forms as soon as possible. Online registration is also available on Sk8Stuff.com. Registered skaters will get some extra practice time for the competition during “free time” on their regular Learn to Skate night and will have the opprotunity to participate in competition practice on April 9th and 12th from 5 – 6 pm as well. During that time Learn to Skate Coaches will be working with the skaters to help them review the elements for the competition as well as give them a practice run of the event. Coaches will also be assigned to help LTS skaters on competition day as well to be sure they are where they need to be and to help them on warm up, etc. 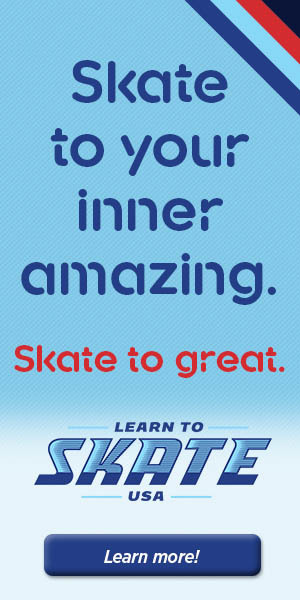 There is no additional cost for the extra practice or event day coaching for skaters in the Learn to Skate Program. Schedules for the event will not be available until approximately one week prior to the competition, so we cannot confirm a specific competition time for your skater just yet. Our best suggestion is to plan for the event to occur sometime between 8 am – 5 pm on April 14th. Schedules will be available at the rink and at sk8stuff.com as soon as they are available. Skaters will need to arrive 1 hr prior to their time slot to register and prepare to take the ice. Events can move faster or slower than expected, so it’s important to be ready in advance. This event is free and open to the public as well, so be sure to invite your friends and family to attend! If you have any questions on any aspects of the competition, check out our Frequently Asked Questions here, email us at MtPleasantFSC@gmail.com or stop by the Learn to Skate Cart during lessons. 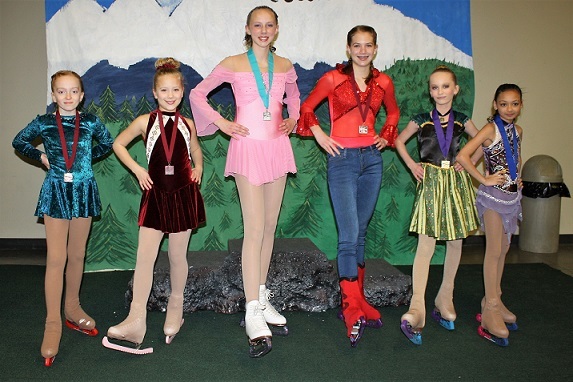 We hope you and your skater will join us for the 14th Annual Mountain Classic!